This is true in your martial arts training and in all other areas of life! Imagine how many practice sessions someone like Lebron James or Kobe Bryant has had in their lifetime. Spirited repetition is deliberate practice. It is practicing with the intent to get better, to be the best you can be. It doesn’t mean you are error free. It means your focus is set on constant and never-ending improvement. There is a great story of Kobe Bryant told by his trainer, Robert, in the 2012 Summer Olympics. The night before a scrimmage for Team USA Kobe called his trainer and asked him to meet him at the practice facility at 5:00 in the morning to do a conditioning and strength workout. When Robert arrived at the facility at 5:00 Kobe was already there drenched in sweat. It looked like he just came out of the pool! Robert asked him what time he had arrived and Kobe said, “4:30.” I had to warm up. From 6:00 - 7:00 Robert put Kobe through a conditioning and endurance workout then from 7:00 - 8:00 Robert put Kobe through a strength workout. After that Kobe told Robert he was free to go but he wanted him to meet him back at the practice facility at 11:00. Kobe mentioned he wanted to practice a little more before he ended his morning routine. 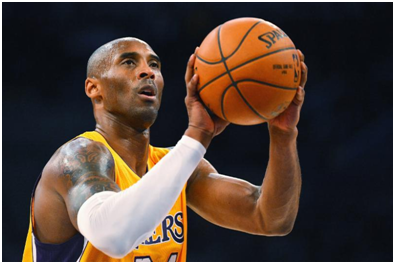 When Robert arrived at 11:00, Kobe was shooting jump shots. Robert asked Kobe what time he got done, and Kobe said...just now! Kobe explained he wanted to get in 800 “makes” and he just finished! Kobe started at 4:30 AM and went until 11:00 AM, then he still had Team USA practice that started at 11:30. That’s spirited repetition! That is deliberate practice and “A” rated work ethic. By the way, Kobe played 20 seasons with the LA Lakers, is an 18-time All-Star and a 2-time Olympic gold medal winner. If you enjoyed this message please take a moment to share it! If you're interest in learning more about us please visit us at www.hunterkarate.com or message us on Facebook!